Hope you are all doing well? I must admit I have been pretty unwell the past few day's and have some in-depth blood tests tomorrow morning. I was so excited to get Fleur De Force's first ever book "The Glam Guide" and wanted to write a chatty post about my thoughts so far. I also thought it might be quite helpful for you lovelies, especially if your considering pucrhasing The Glam Guide. I would love to hear your thoughts on today's post.. so don't forget to leave your comments down below. You can also get in contact with me via my Social Media icons just to the right hand-side of my blog! 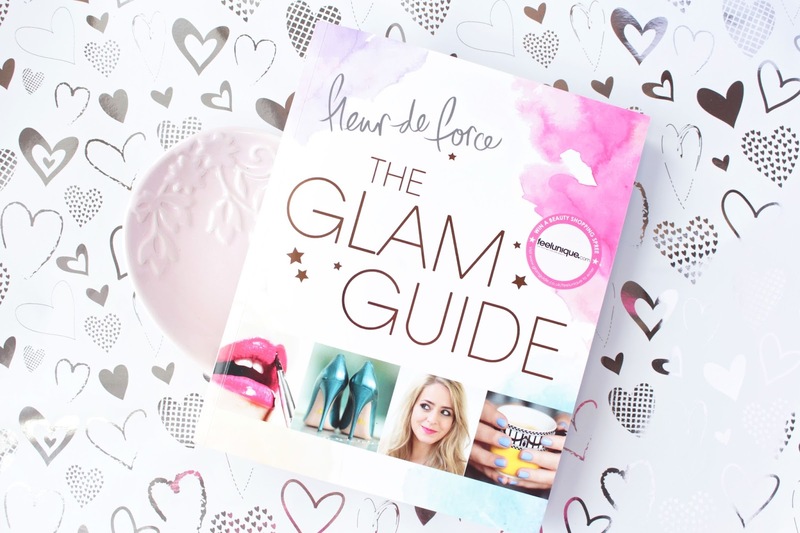 I have been a Fleur De Force fan for the past three years and I honestly was so excited when she announced her first ever book "The Glam Guide". Firstly, I have to mention that this is literally one of the most gorgeous looking books ever and it also continues with beautiful illustrations all the way through the book! I'm a total sucker for pastels, stars and all things beauty and fashion related. The Glam Guide also feels really good quality and it's the kind of book I would use as a decorative piece, as it's just so pretty to look at. I have followed Fleur for so long now (probably 3 years+) that she almost feels like a friend every time one of her video's pop up on my timeline! She is one of the first Youtuber's that I ever came across along with Elle & Blair and she has definitely inspired me over the years. I love how down to earth she is and you can just tell that she is so genuine and lovely. When I heard Fleur was releasing a book I knew it was going to be love, so when Daniel brought me home a copy I couldn't wait to get stuck in. I had always planned on buying it, but the past few days I have been pretty unwell - so it was a welcomed treat! Fleur has been making YouTube videos since 2009 out of a genuine passion for all things beauty and fashion related and The Glam Guide contains all of her secrets, discoveries and much more. 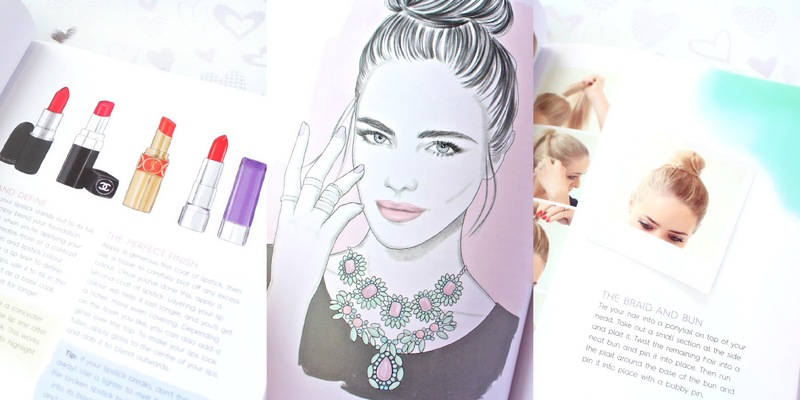 The thing I love about The Glam Guide the most is the fact it's not just a book you will read and put to the side, as it genuinely contains so many fantastic tips and tricks that it will make you want to reach for it on more than one occasion. 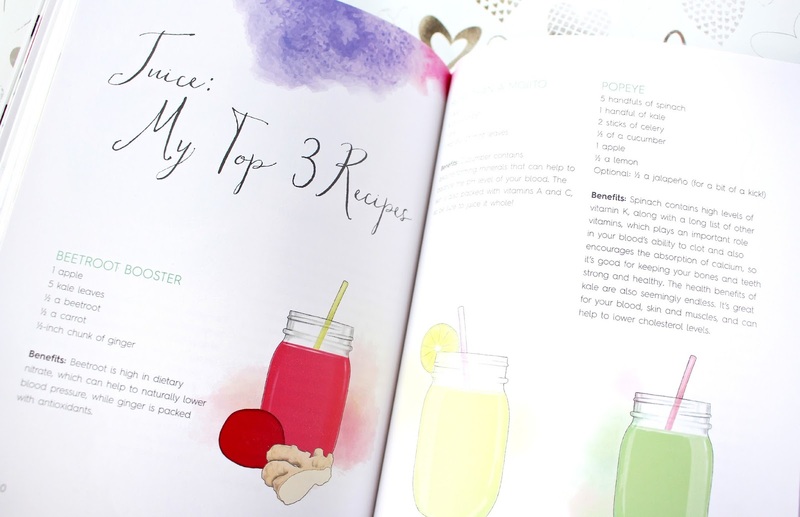 For example I know that when I'm in need of a quick hairstyle or healthy smoothie recipe I will be able to pick up my Glam Guide and know I will be able to re-create Fleur's fabulous advice. At the end of each section there is a "10 Quick Tips" section, which is a lovely touch and features some really inspiring advice. I also love the way that Fleur encourages her reader's to be themselves and not feel like they have to do conform to the way's of the beauty/fashion world. I think because the beauty, blogging and YouTube world has got so big it can sometimes be quite overwhelming, so it's great that Fleur supports her reader's individuality, which comes through when reading The Glam Guide. 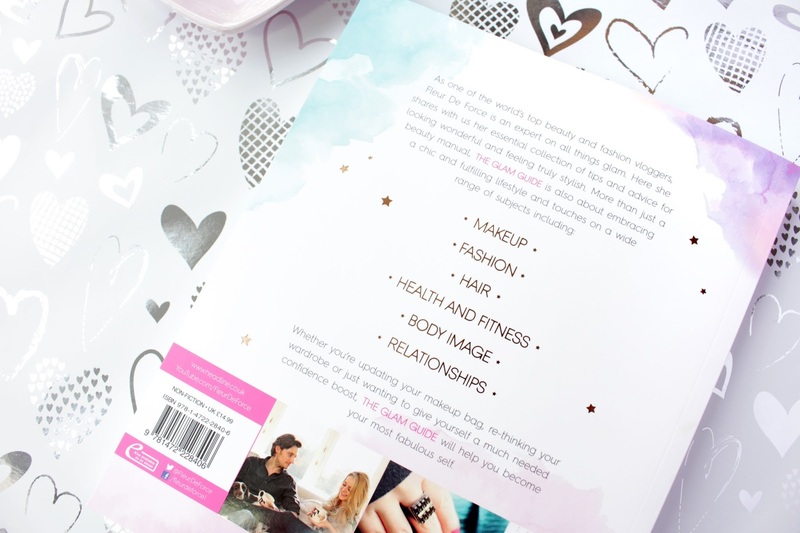 The Glam Guide embraces a chic and fulfilling lifestyle and touches on a wide range of subjects including, makeup, fashion, hair, health, fitness, body image, relationships and blogging/Youtube advice. As a beauty blogger myself I am so pleased to finally have a book that I can go back to when I need a little help and advice. There is so much information on the Internet that sometimes it's nice to have a hard copy to reference! So for me The Glam Guide is 100% worth the purchase, as I know it will always be a book I go back to. I'm planning on doing a series of posts inspired by the topic's within "The Glam Guide" So keep an eye out if you would like to see more! Congratulations Fleur The Glam Guide is fantastic and definitely something to be proud of! Ahh I want to read it so much, it sounds gorgeous. I've been thinking about getting this as it looks like a good book and the illustrations look lovely. Thanks for giving your thoughts and make me wanting it even more!